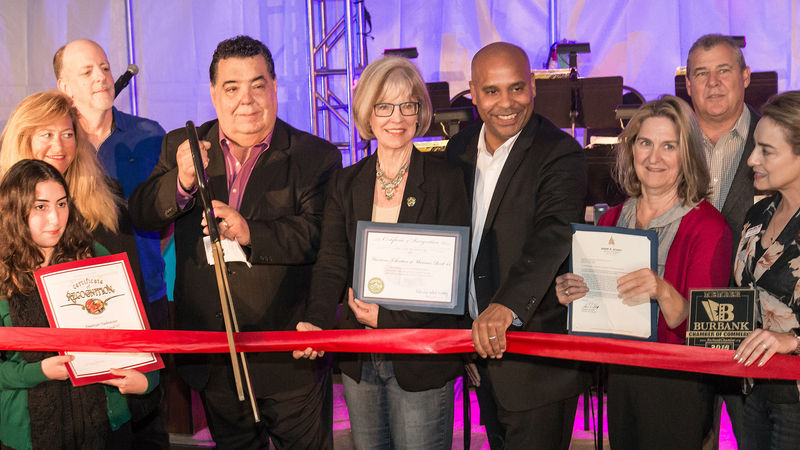 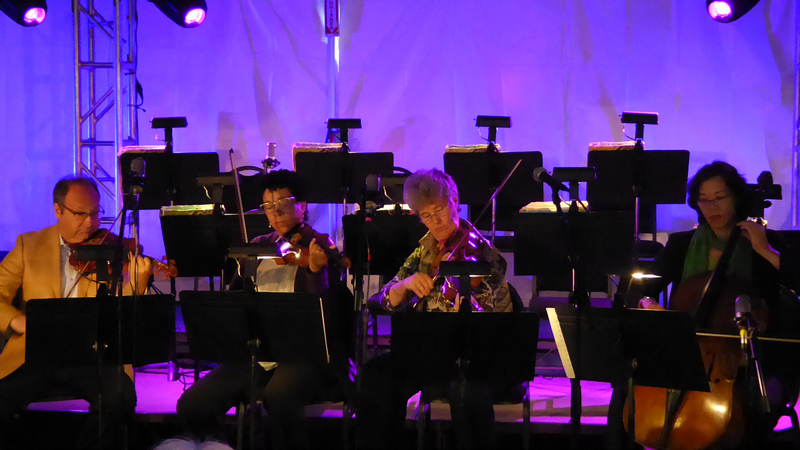 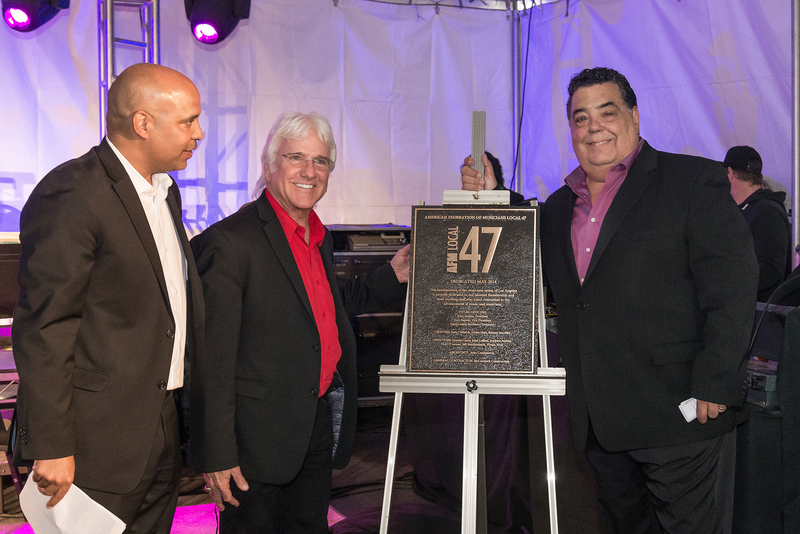 Close to 300 musicians, dignitaries and friends turned out on the evening of May 21, 2018 for the official Grand Opening Dedication Ceremony to commemorate the new home of American Federation of Musicians Local 47 at 3220 Winona Ave. in Burbank. This past summer, our union began our relocation from Hollywood to a beautifully renovated building in Burbank. With Phase 1 of construction recently completed, we were ready to celebrate in style! 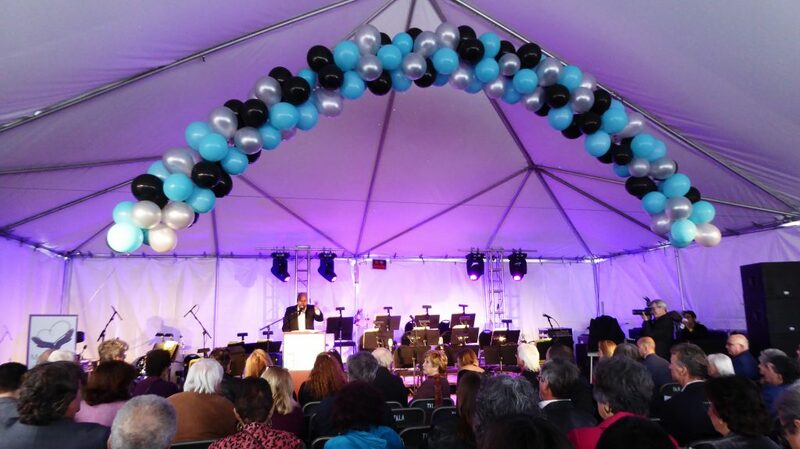 Guests filtered in to a giant tent set up on the parking lot in front of the main entrance of the new building. 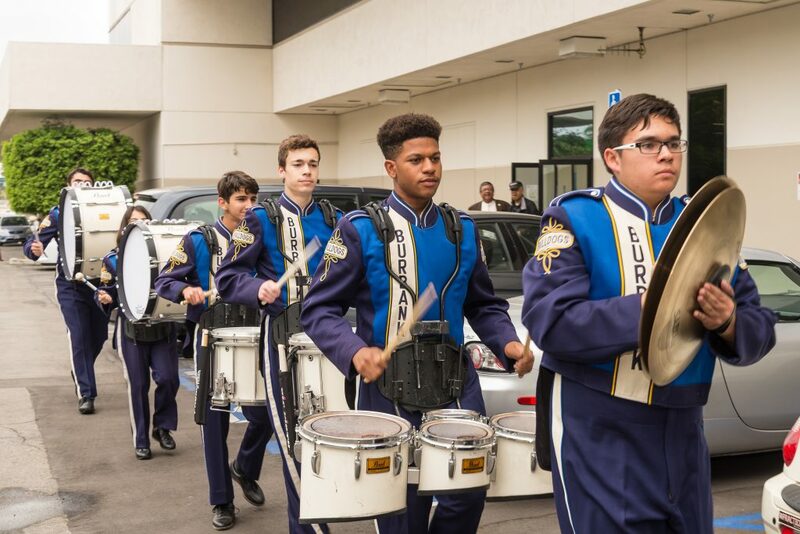 Students from the Burbank Unified High School Marching Band kicked things off with a rousing drumline. 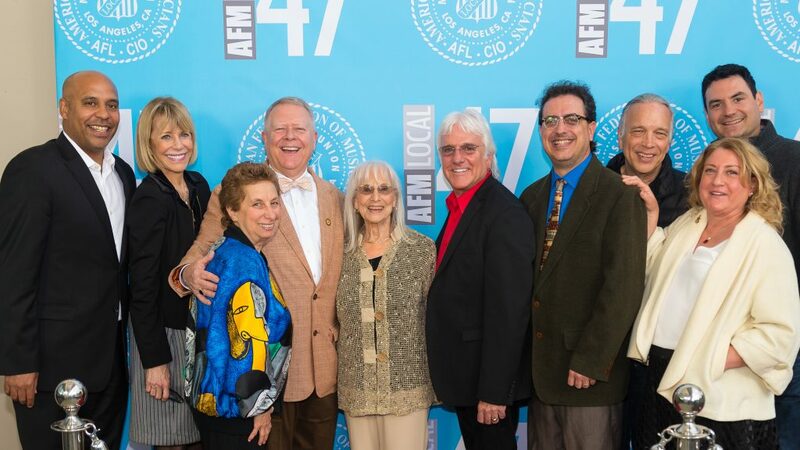 Among the many VIPs in attendance were the building’s architect, John Cambianica of CBA Architects, and general contractor, Mike McCormick of McCormick Construction, and representatives from labor unions and organizations including SAG-AFTRA, Film Musicians Secondary Markets Fund, Musicians At Play, The Actors Fund, AFM Local 6 San Francisco, NABET-CWA Local 53, Los Angeles Chamber Orchestra, California Jazz Foundation, Los Angeles Jazz Society, Formosa Group, Burbank Cultural Arts Commission, Los Angeles Community College District, and many more. 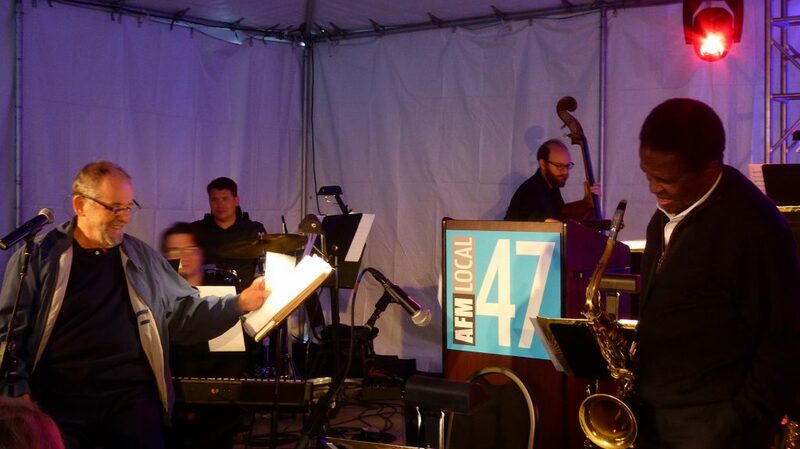 No party at AFM Local 47 would be complete without live music, and guests were treated to a quartet comprising members of the Los Angeles Philharmonic, and Mike Barone closed out the evening with a rousing set from his award-winning Big Band, featuring smoking hot tenor sax from Rickey Woodard as special guest soloist. 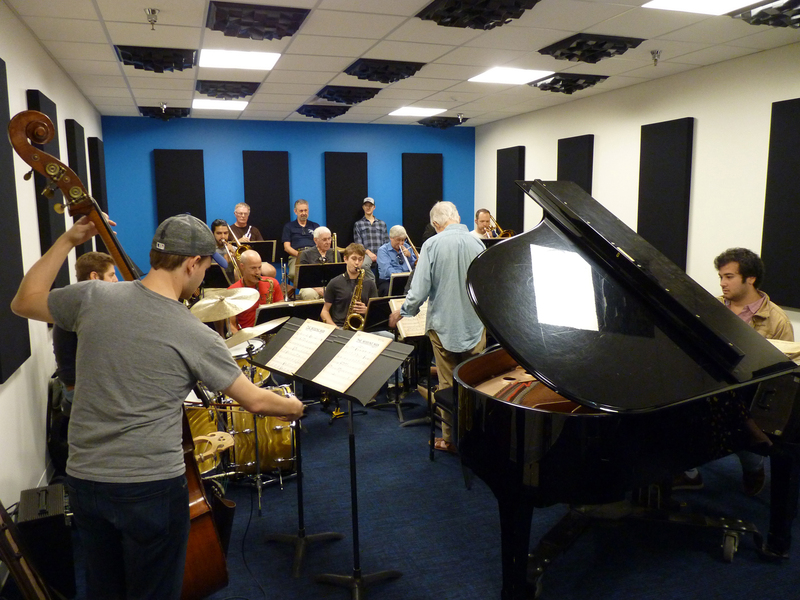 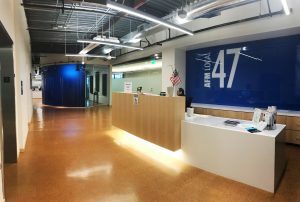 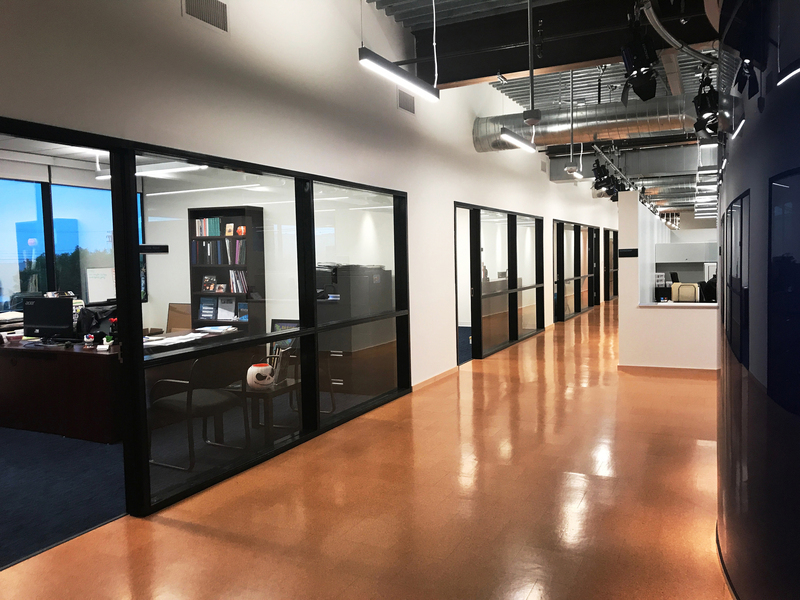 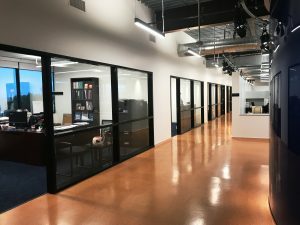 Guests enjoyed guided tours of the 25,000-square-foot building with guided tours of the new AFM Local 47 financial offices, state-of-the-art rehearsal rooms, recording studio, and impressive Artists’ Lounge. 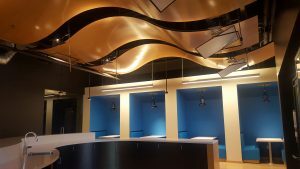 Currently in the planning stages, Phase 2 construction on our new multi-purpose space will serve as an auditorium and hall for membership meetings, large orchestra rehearsals, live performances, and rentals. 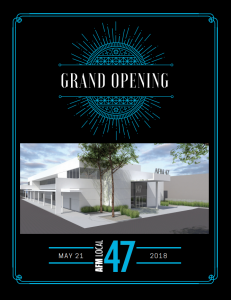 This entry was posted in All News, Features and tagged Burbank, dedication ceremony, Grand Opening on May 23, 2018 by admin. Great evening indeed. 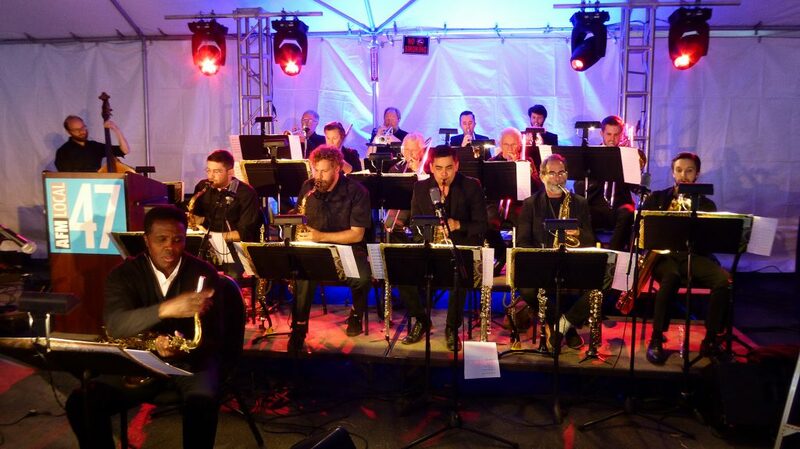 It was a beautiful event. 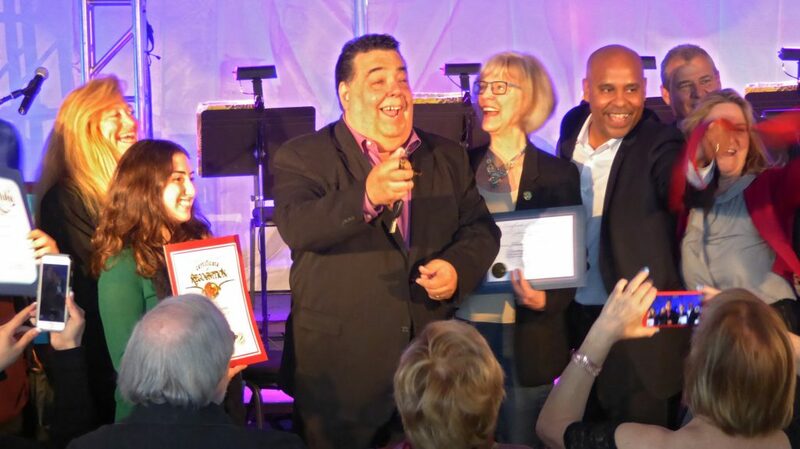 Thank you for capturing this moment Linda. Kale and I truly enjoyed being part of the festivities.